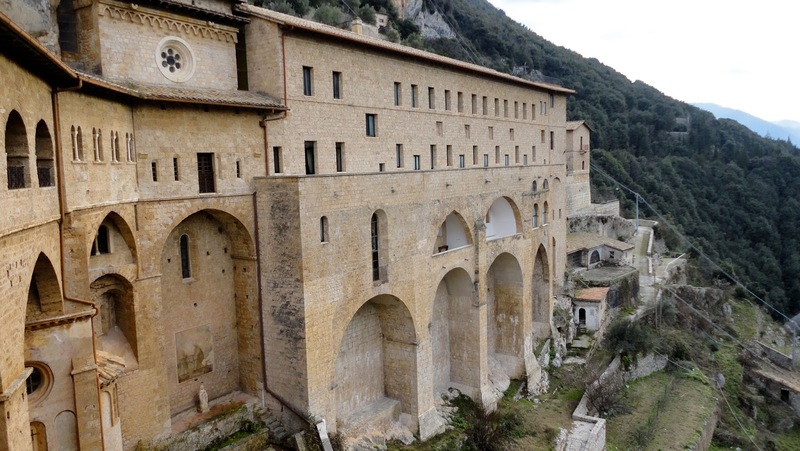 After seeing yesterday’s post about St Benedict’s disciple St Maurus, reader Jordan Hainsey very kindly sent in these beautiful photographs of the monastery at Subiaco, Italy, where the famous miracle of St Maurus running over the water to rescue St Placid took place. 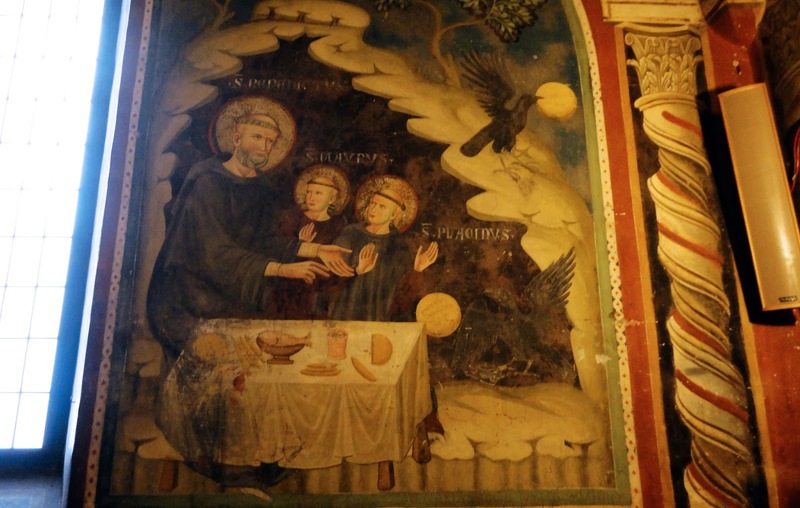 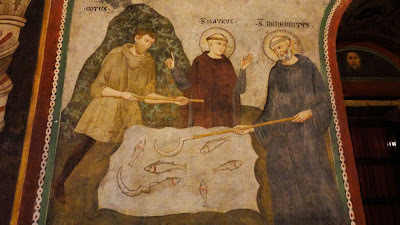 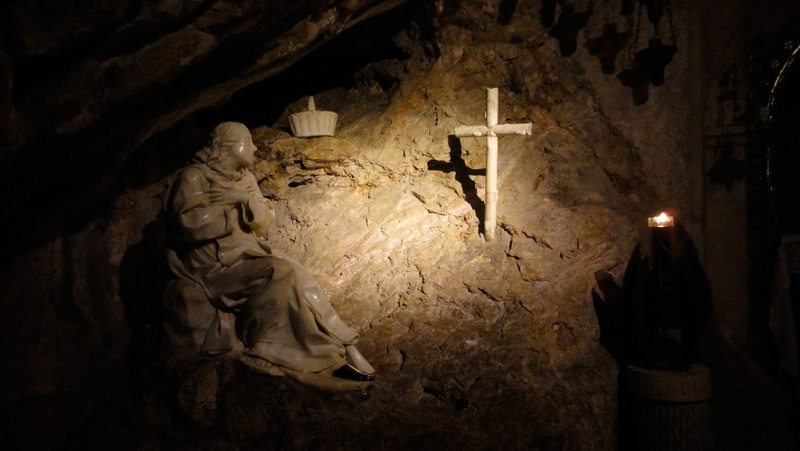 He writes “The Monastery of Saint Benedict in Subiaco, Italy, houses the cave in which Saint Benedict lived as a hermit before he founding his monastic community. 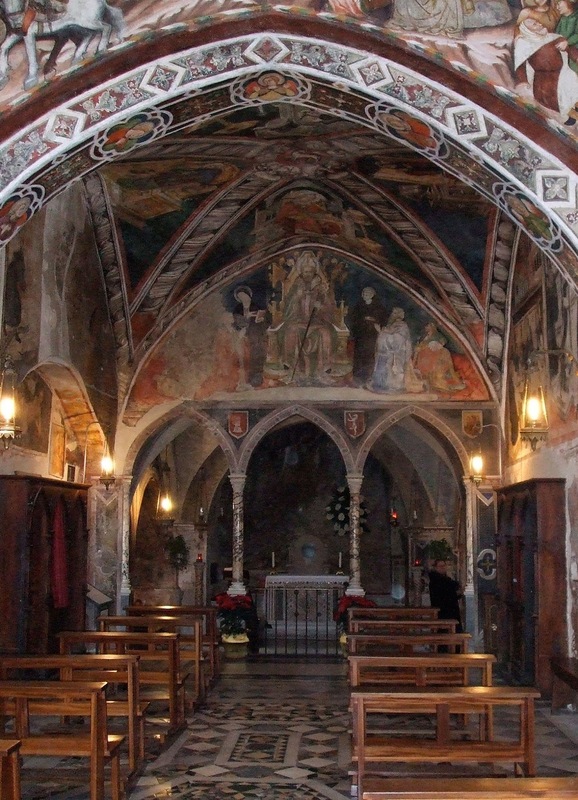 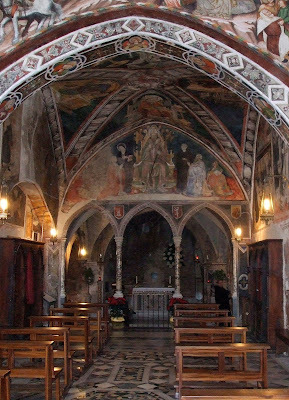 The great Upper Church features frescoes in this section were painted by the Sienese school in the 13th and 14th centuries. 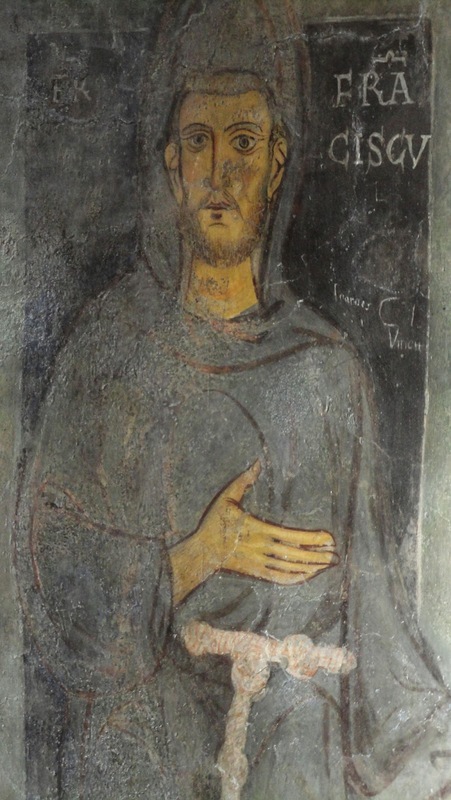 Among the many fascinating pictures is a portrait of St. Francis of Assisi; labeled ‘Fr. Franciscus,’ the saint is shown without the stigmata or a halo, indicating that it was painted during his lifetime (before 1224). Outside the monastery is the Rose Garden of Saint Benedict. 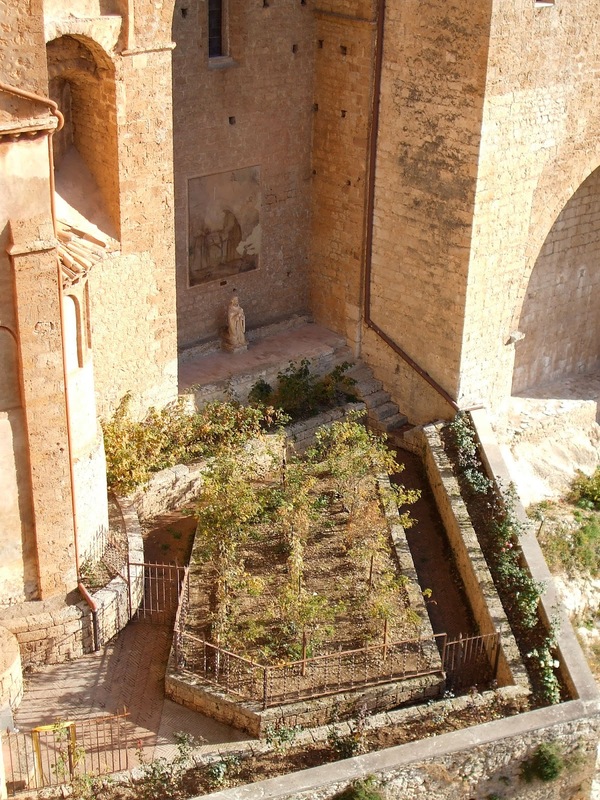 A fresco in the garden depicts Saint Francis grafting roses onto the thorn bushes into which Saint Benedict threw himself to avoid temptation. 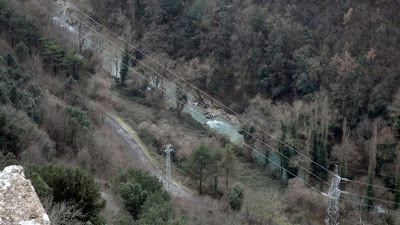 The bushes still bloom today.